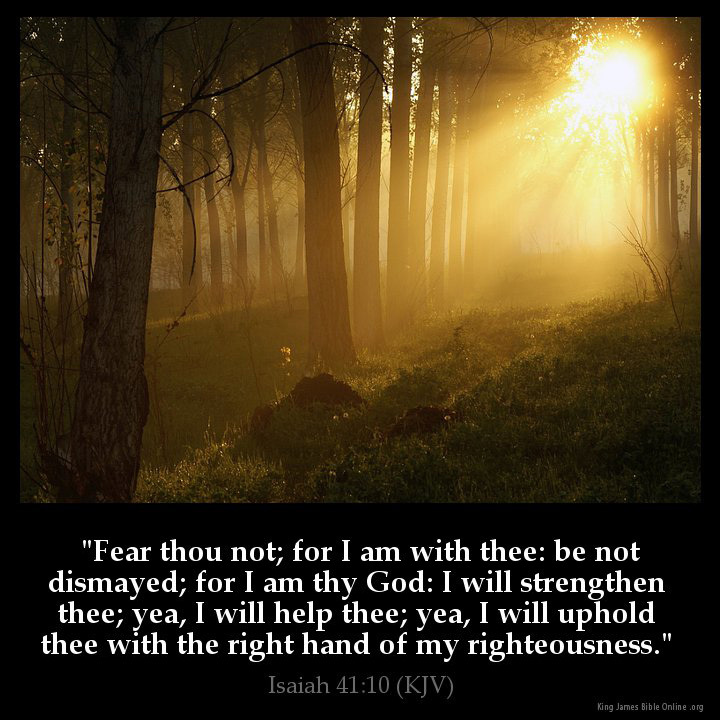 Fear not; for I am with thee . . . I am right here, My Child. Do not be afraid. I walk with you through the fires, and the storms, and the floods that threaten to overwhelm you. You are not lost, Dear One, but you are found. You are not without Hope, My Weary One. For your Maker is your Husband, the LORD of Hosts is My Name, the Holy One of Israel and the God of all the earth I AM called. I will never leave you nor forsake you. I AM your Keeper; I AM the Shade you dwell under; under My Wings you have refuge. I shall keep you from all evil, My Love. I preserve your life. I AM your Comforter and the Lover of your soul. I gather you to Me like a hen with her chick, like a mother holds her baby tightly to her chest. This is your dwelling Place, Beloved. This is the Secret Place; Next to My Heart. Listen, Beloved, listen to My Heartbeat of Love for you. “For thy Maker is thine husband; the Lord of hosts is his name; and thy Redeemer the Holy One of Israel; The God of the whole earth shall He is called,” Isaiah 54:5. “The LORD is thy keeper: the LORD is thy shade upon thy right hand. The sun shall not smite thee by day, nor the moon by night. The LORD shall preserve thee from all evil: he shall preserve thy soul. The LORD shall preserve thy going out and thy coming in from this time forth, and even for evermore,” Psalm 121:5-8. “He that dwelleth in the secret place of the most High shall abide under the shadow of the Almighty. I will say of the LORD, He is my refuge and my fortress: my God; in Him will I trust,” Psalm 91:1-2. “He shall cover thee with his feathers, and under His wings shalt thou trust: His truth shall be thy shield and buckler,” Psalm 91:4. “How precious is Your lovingkindness, O God! And the children of men take refuge in the shadow of Your wings,” Psalm 36:7.